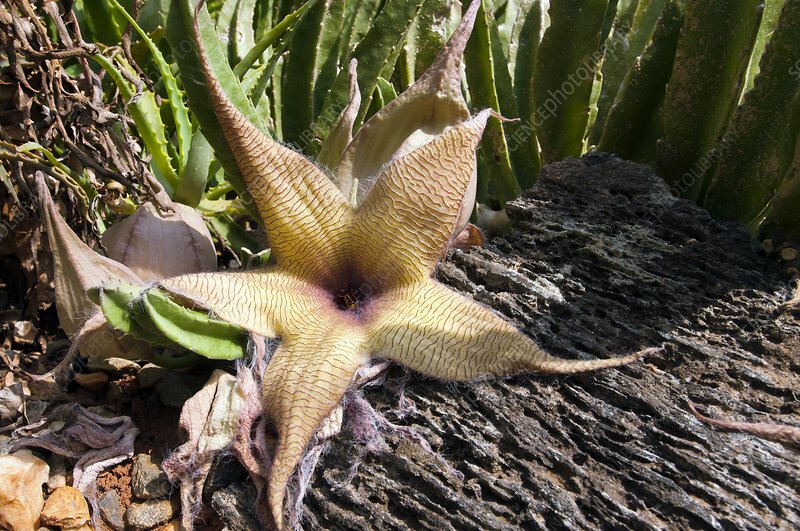 Carrion flower (Stapelia sp.). Carrion flowers attract pollinating insects by mimicking the appearance and smell of rotting flesh. Photographed in Soutmansberg, Limpopo, South Africa.